Ever pick up a tool and think ‘goodness what would I do without it’? Sort of like mobile phones, how did we function without them? I must admit now that I have ratchet tie-downs in my tool arsenal I find myself wondering why I didn’t get them sooner and all the projects and situations where I could have used them in the past. Just like a mobile phone, the possibilities are endless once you have the tool at your disposal. 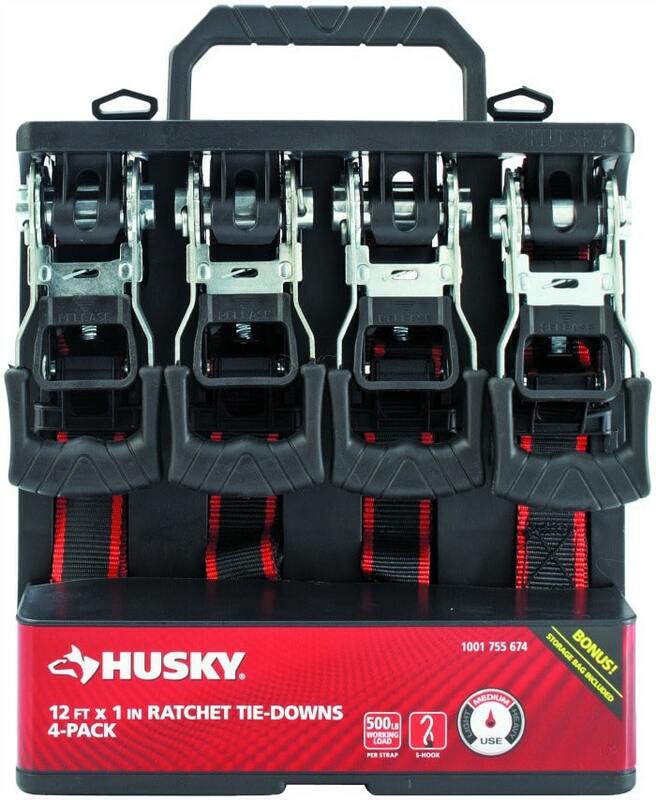 These Husky ratchet tie-downs come in handy for so many various applications – most notably securing items in a truck bed or trailer – but beyond hauling goods they can secure project pieces. I used the tie-downs to secure a wood box while filling with concrete. 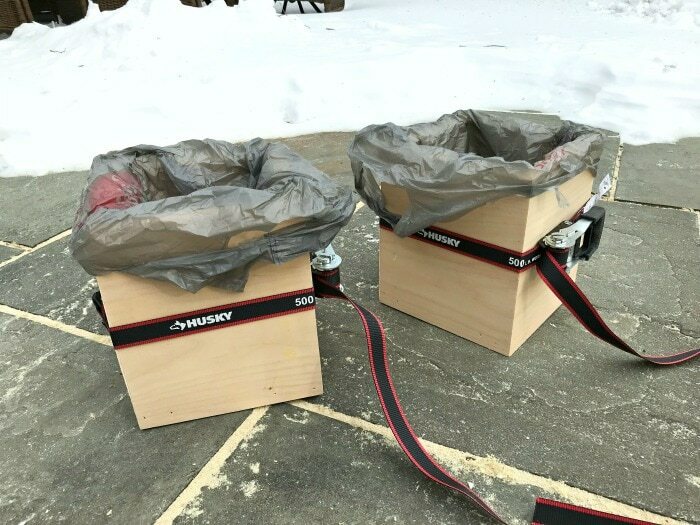 I built the box with mitered corners and secured using wood glue and finish nails however I wasn’t so confident my box construction could withstand the curing concrete so I opted to use the Husky tie downs to stabilize the box while the concrete dried. 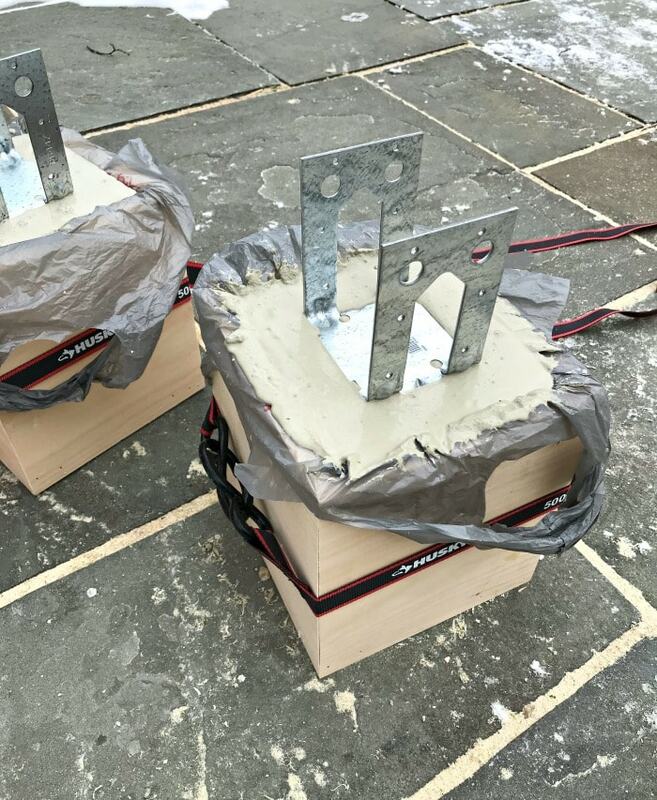 Once the concrete was dry I used the quick​ ​and​ ​easy​ ​thumb​ ​release​ ​​to​ ​loosen​ the tie down and release the box. Now I have a solid, heavy base for a 4×4 post which is part of a large portable wood arch. The ratcheting tie down allowed me to create a snug, secure hold on the wood box while I poured the concrete and let it dry. I used the plastic bags to ensure no concrete would seep through the wood seams and later trimmed the excess plastic off. ​The ​tie-downs​ ​are​ ​weather​ ​resistant​ ​and​ ​UV-protected​ ​for​ ​durability if you’re using them in exterior conditions. The vinyl-coated​ ​S-hooks​ ​stand​ ​up​ ​to​ ​rigorous​ ​extremes​ ​and​ ​won’t​ ​tarnish​ ​your equipment or mar your vehicle’s finish. 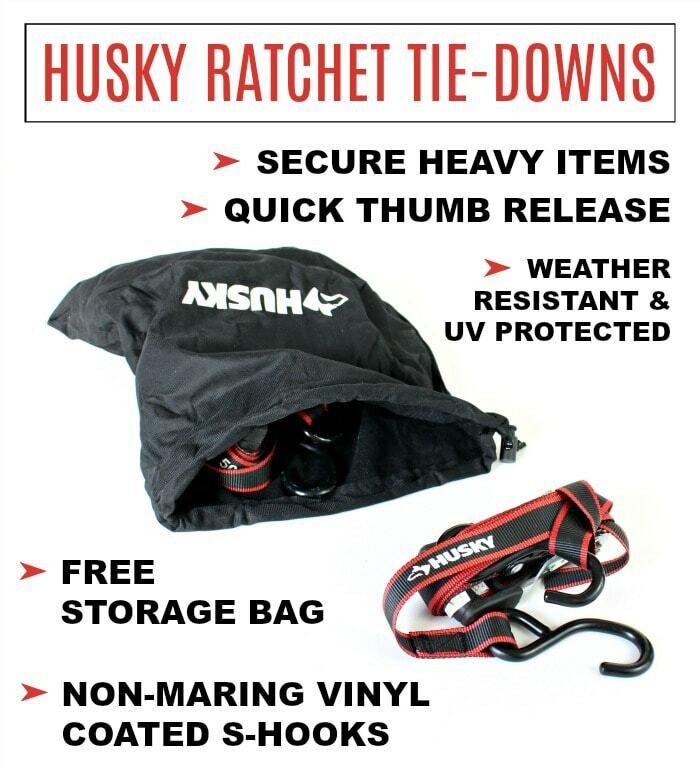 And bonus this Husky ratchet tie-down 4 pack comes with a free storage bag so you can keep all the pieces together when not in use. 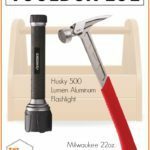 A very affordable tool that has endless possible uses for hauling goods, securing luggage to a roof rack, and various project situations. 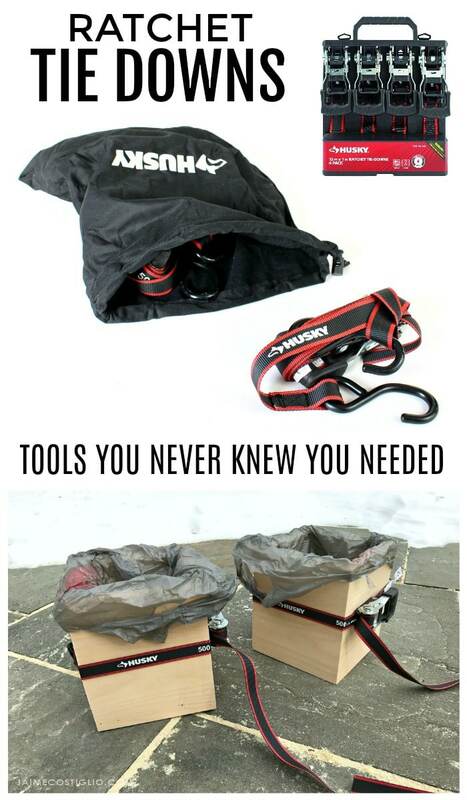 Trust me you’ll be glad you picked up a set of tie downs and find yourself using them, just like you can’t imagine life without your mobile phone. I adore my ratchet tie downs! Use them all the time on chairs, which have odd shapes, the side tables i work on, my dining room table and picture frames. 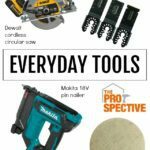 These tools are right up there with my drill, a good hammer and my electric staple gun! I’m an older woman w poor hand strength, so anything i can get that helps me is a real plus. My only complaint is that i wish they came w visual directions. If it’s been awhile, it is more than challenging to figure out the layout. Please let someone know, even if was an option to buy the instructions. 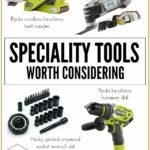 Seasoned wood workers get it but not everyone uses these all the time. It would be a BIG PLUS! Love to hear you get great use out of the tie-downs. Great notes on the instructions, I will be sure to pass along. I have ordered several sets of these. These will make great Christmas presents and I will be using some too. Great to keep in the back end of our truck. I would like to know how you made the wood box for the concrete block. What are the dimensions? Is there a bottom to the box? We have a very high water table and fence posts (even pressure treated) seem to rot out after a few years and I thought about using the paper tubes filled with concrete but decided that buying 50 tubes was to much. The boxes would be much better as I could make a few posts at a time. Thanks for the great ideas!! 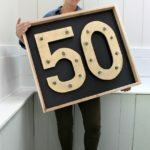 Hi Cathy, the wood box is a 1×10 cut at 7″ l with a 45 degree bevel on both ends not parallel. Yes there is a bottom about 6 1/4″ square. Great idea to make boxes versus the tubes if it’s more economical, be sure to use cedar or treated ply for exterior although once the concrete is cured even if the box rots a bit you still have the concrete for a good long while. Good luck with your project!